First edition of 900 sold out. Second edition of 100, with silver labels, now available. Mythologized by Brian Jones' 1968 recordings for Rolling Stones Records, The Master Musicians Of Joujouka have since been the subject of much attention from outside their native Morocco. The first recorded group were the house band at Brion Gysin's 1001 Nights restaurant, Ornette Coleman collaborated with them on Dancing In Your Head, they are featured on William S. Burroughs' Break Through In Grey Room, and Timothy Leary hyperbolically referred to the musicians as “The 4000 year old Rock and Roll band". This legacy has lured some descendants away from their home and onto the international scene, but the music of Joujouka continues to echo down from the Ahl Srif mountains today. 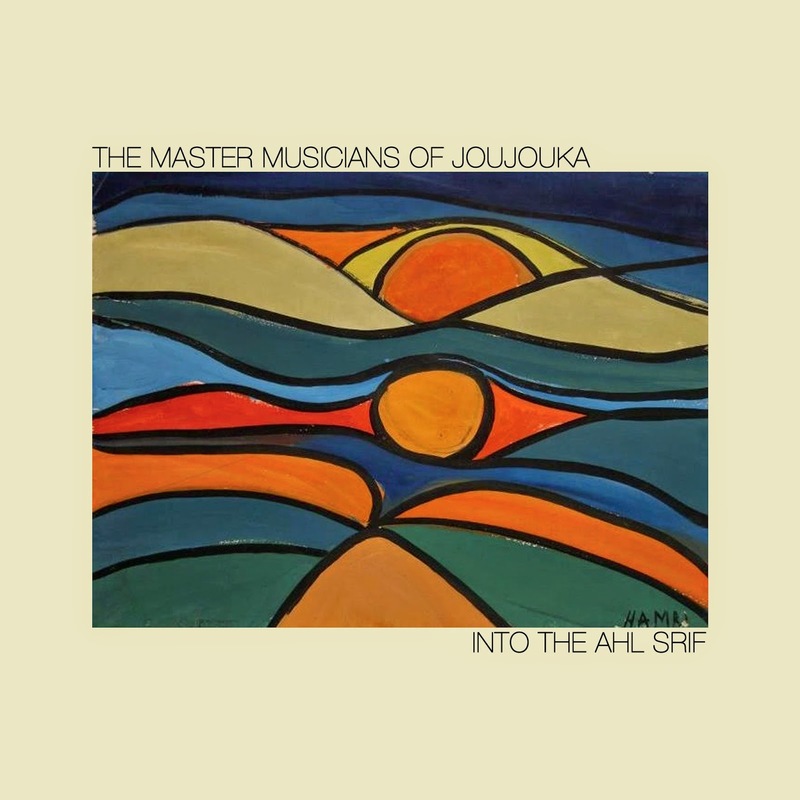 Recorded live in Joujouka in 2012, Into The Ahl Srif is the first new album of Joujouka material available on vinyl since 1976. Focusing on the trance-inducing ghiata music of the rites of Boujeloud, Into The Ahl Srif eschews the highly edited, special effects approach of Brian Jones Presents The Pipes Of Pan At Joujouka in favor of a raw, untampered transmission. Although preserving the full 90-minute fertility ritual in uninterrupted form would be impossible on any physical sound medium, this LP takes a more thorough look than ever before at this most cacophonous, droning, and deeply psychedelic side of Joujouka's music. "This is Sufi trance music par excellence."